BECOME A FEATURED SCUBA SCHEDULES BLOGGER! By blogging for Scuba Schedules you get to contribute knowledge and expertise to the dive community while Scuba Schedules helps drive traffic back to you – at no charge! Become a Scuba Schedules Featured Blogger and you may embed 1 link per post back to your own website that will help improve your Google search engine rankings (SERPS). It’s well known that one of the hardest things do to in web development is to drive internet traffic to a given domain. Experts know that sea rch engine rankings dictate on how much traffic gets directed to your website. And these rankings are determined in large part by the number and quality of “link-backs.” The greater the number of other relevant sites that link to you, the better your ranking will be. The Scuba Schedules Blog is another great way to increase Google’s awareness of your business, provide more “link juice” and drive traffic back to your site, all while staying relevant to your customers. 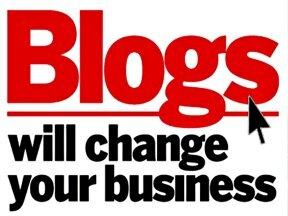 In short, if you’re not blogging – you probably should be.